Lipids are substances found in the body that cannot be dissolved in water. There are many types of lipids including fats, fat-soluble vitamins, fatty acids, waxes, and steroids. Lipids support the structure of the cells, maintain body temperature, and make hormones. But, the most important function of lipids is to store energy for the body. Lipids make up 3-5% of the composition of breast milk. Half of the calories and half of the energy that your baby gets from a feeding comes from the lipids in your breast milk. Besides energy, lipids provide an important source of essential fatty acids and cholesterol. They're also necessary for the growth (and weight gain) of your baby and the development of your child's brain and vision. The fats in your breast milk may also play a role in controlling your baby's appetite. 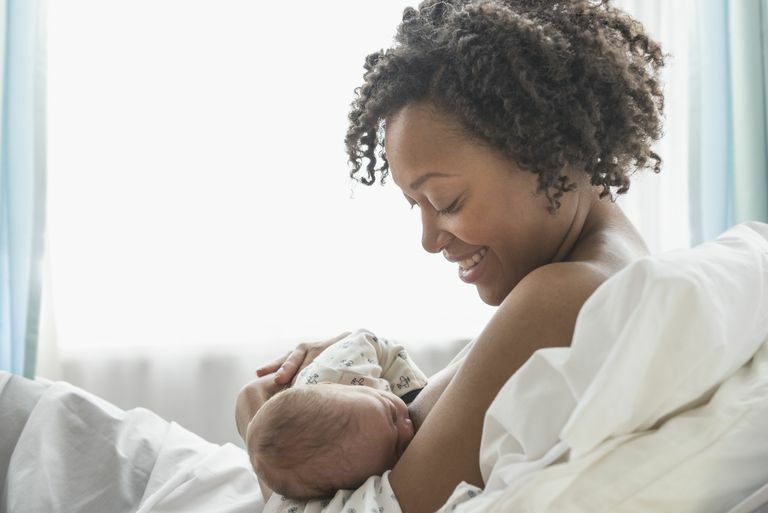 Since the amount of fat in breast milk goes up as your baby breastfeeds on the same breast, it may fill your baby up and trigger her to stop nursing. Plus, since fat takes longer to leave the stomach, it may help to keep your baby satisfied longer between feedings. A variety of different lipids have been identified in breast milk. Scientists continue to do research since they do not know the functions and importance of many of them. Here are a few of the key lipids in breast milk that we do know about. Triglycerides are fat. They are the main lipid found in breast milk, and they make up 98% of breast milk fat. Triglycerides are responsible for the storage of energy. The bonds that hold the triglyceride molecules together contain the energy. When the triglycerides are broken down, the bonds break and release the energy. Cholesterol is a steroid, and it's essential for brain and nerve development. Cholesterol is also needed to make hormones which regulate the functions of the body. Studies show that children exposed to cholesterol in breast milk appear to have better heart health as they grow. It seems that adults who were breastfed as children have lower levels of bad (LDL) cholesterol and a lower risk of heart disease. DHA is an essential fatty acid that contributes to the development of the central nervous system and the brain. It's also important for vision and the development of the eyes, especially for premature infants. The importance of the essential fatty acid ARA in breast milk is not entirely understood. It may play a role in infant growth, or it may be necessary to balance the DHA. Complex lipids are believed to be important for the brain, stomach, intestines, and skin. They are found in a baby's brain, they help to fight infection, and they are believed to help reduce inflammation in the intestines to protect a baby against a serious intestinal condition called necrotizing enterocolitis (NEC). The amount of fat in breast milk is not constant. It changes throughout the day and over time as your baby grows. It even changes during each feeding. When you first start to breastfeed, your breast milk is thinner and lower in fat. But, as your baby nurses, your breast milk becomes thicker and higher in fat. The longer your baby breastfeeds on the same breast and the closer she gets to emptying that breast, the more fat she will receive. Breast milk produced for premature infants is also very high in fat. It has about 30% more fat than the breast milk that's made for full-term babies. As long as you don't follow an unusual diet, your breast milk will contain all the important nutrients and lipids that your baby needs. However, diet does play a role in the amounts and types of lipids found in breast milk. Supplements During Pregnancy: When pregnant women take omega-3 supplements, they have higher levels of DHA, IgA, and other immune properties in their early breast milk. Vegetarian and Vegan Diets: Since vegetarians do not get dietary fat from animal products, the level of DHA in their breast milk is lower. But, they tend to have very high levels of linoleic acid, a plant-based fatty acid. DHA supplements may be necessary for those who follow a strict vegetarian or vegan diet. Diets High in Carbohydrates: When women have diets high in carbohydrates with little or no fat, their breast milk has higher levels of medium-chain fatty acids such as lauric acid and linoleic acid. Coastal Fish Eating Diets: Women who live in areas where seafood is abundant and a large part of their diet, have higher levels of DHA in their breast milk. Infant formula does contain lipids and the fats necessary for healthy growth and development. However, there are many differences in the types and amounts of lipids found in breast milk compared to those found in infant formula. The main differences are in the levels of cholesterol, essential fatty acids, saturated fats, and complex lipids. Another difference between formula and breast milk is the concentration of lipids in a feeding. The amount of lipids in formula stays consistent during a feeding and from feeding to feeding. However, the concentration of lipids in breast milk changes from the beginning of the feeding to the end of the feeding, from one feeding to the next, and from one day to another. Formula companies continue to look at the research, improve their formula, and try to make it as close to breast milk as possible. But, it's a difficult job because we don't even know what all the lipids do or how babies absorb and use lipids from alternative sources. Delplanque, B., Gibson, R., Koletzko, B., Lapillonne, A., & Strandvik, B. Lipid Quality in Infant Nutrition: Current Knowledge and Future Opportunities. Journal of Pediatric Gastroenterology and Nutrition. 2015.